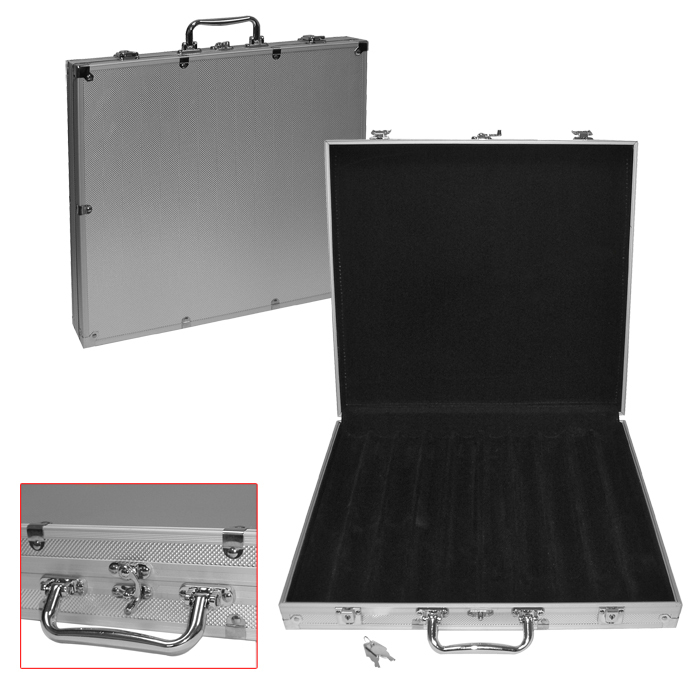 These chip cases are made of heavy duty, yet lightweight aluminum available in brilliant silver. The interior is black felt with space for 1000 chips. This case has upgraded strength where required, including a wooden base for the chip trays, so don't gamble on a lower quality item. This is the chip case that will last a lifetime. The approximate dimensions of the case are 3 x 16 x 19.5.